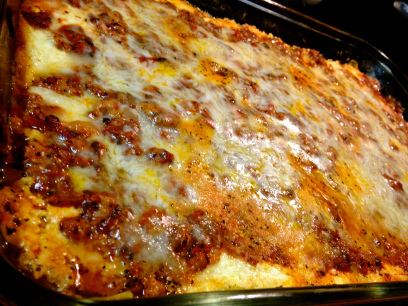 In my grain days I totally loved lasagna. All those meaty and cheesy creamy layers. Having discovered how delicious Zucchini Noodles are I have been thinking about making thin slices into lasagna noodles, but Deanna has beaten me to it, so why reinvent the wheel? Going grain-free has obviously meant that pasta was off the menu – that is until I bought a Spiralizer and discovered Zoodles! When I served up a Zoodle dish the comments around how much like pasta it was, lead to a conversation around how taste is affected by texture. And those of you who have eaten cauliflower rice with a tasty curry will know that it is the same story. Great substitutes that I say surpasses the originals. But you have come here for a lasagna recipe and how awesome that Deanna from Health Without Sacrifice has done the work for us! So head over to her blog for some grain-free, gluten-free, noodle-free Zucchini Lasagna.